Esso Australia, a part of the ExxonMobil Australia group of companies, yesterday commenced construction of its 400 million Longford pipeline replacement project. The 187-kilometre pipeline, which replaces an existing pipeline constructed in 1969, will transport crude oil and condensate between Esso Australia’s Longford and Long Island Point facilities in Victoria. 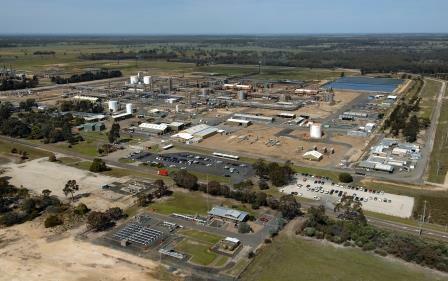 Commenting on the start of construction, ExxonMobil Australia Chairman Richard Owen said the project will support the continuing supply of natural gas to businesses and households in Victoria. “This will be a major project for the Gippsland region delivering not only new jobs, but also opportunities for local suppliers,” Mr Owen stated. Victorian Minister for Energy and Resources Lily D’Ambrosio said the project will create around 500 construction jobs in areas like earthworks, trenching, welding and surveying. She said construction works on the replacement pipeline will be performed by Nacap Australia – a Quanta Services company – which will use local workforce, equipment and services wherever possible, providing flow on economic benefits to communities in Gippsland. “This is a major project that will create around 500 jobs and benefit local suppliers with the majority of materials to be sourced locally,” the Minister said. According to Ms D’Ambrosio, construction of the replacement pipeline is expected to be finished by early next year.